Curious about Baby Boomer statistics? There were 76.4 million members of the Baby Boomer generation living in the United States (counting immigrants) according to a U.S. Census Bureau report from 2014. Though rapidly approaching retirement age if they aren't already there, these aren't your grandma's grandmas. Follow the numbers for how they spend their money, technology habits, and even leisure activities. How Many Baby Boomers Are There? When World War II came to an end and soldiers returned home to the United States, an enormous number of babies were born. This population explosion, coined the Baby Boom by sociologists, lasted from 1946 to 1964. In 1957, there were 4.3 million babies born (according to the 2014 Census Bureau report above), setting a record for the highest number of births ever recorded. 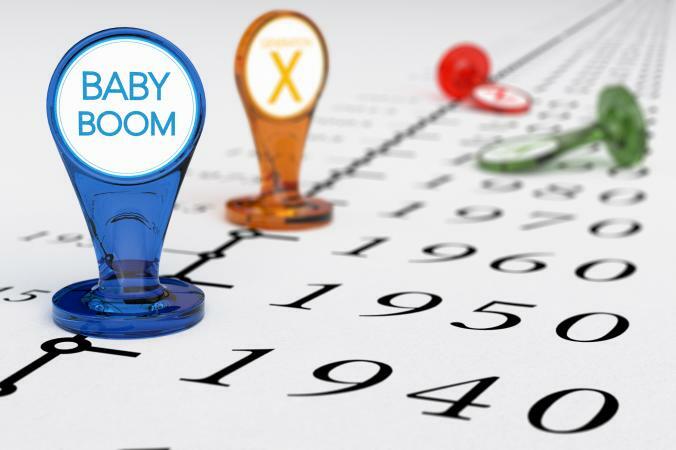 In the first year of the Baby Boom, 1946, there were 3.4 million recorded births, according to History.com. CDC.gov reports that the Baby Boom ended in 1964 with 4,027,490 recorded births. There were 76 million births in the United States during the Baby Boomer years, and about 11 million had died by 2012, leaving 65.2 million, according to the Population Reference Bureau. The youngest Baby Boomers will turn 65 in 2029, which will take the percentage of people aged 65 or older as of 2029 up to a shocking 20 percent. It was 14 percent in 2012 (Population Reference Bureau). In 1964, Baby Boomers represented about 37 percent of the population (2014 Census Bureau report). As of 2015, they made up about 24 percent of the total population of the United States, based on the US Census Bureau's projected total population of 320,090,857 at the start of 2015 and estimated of 75.4 million Boomers by mid-2015. Of the total population of Baby Boomers, women make up about 52 percent (based on the 2014 Census Bureau report's projected numbers). Baby Boomers are rapidly reaching retirement age and deciding what their next steps are going to be. Pew Research Center reports that about 10,000 Baby Boomers turn 65 every day. On January 1, 2006, the first Baby Boomer turned 60. Women who are currently 50 have a life expectancy of 83 and men have a life expectancy of 79, according to the Social Security Administration. In 1965, 36 percent of the population of the United States was under the age of 18, based on ChildStats' report of 69.7 million children that year and a total population of 191.89 million. A QuickFacts sheet from the U.S. Census Bureau says only about 23 percent of the population was under the age of 18 as of July 2018. They love their smartphones (they're the fastest growing segment of smartphone owners!). Believe it or not, Pew Research Center found that 77 percent of smartphone owners between the ages of 50 and 64 associate them with freedom, not the opposite (younger cohorts are likely to see them as "leashes" more than freedom). And The Huffington Post reports that boomers love their Facebook, too. The internet may seem like the hip place where all the "young 'uns" hang out, but about 33 percent of Internet users are Baby Boomers, and some are online more than they're watching TV. Seventy-eight percent of Boomers are online and 71 percent of them are on social media, with a preference for Facebook over other platforms. They also love YouTube (The Huffington Post). Always the doting parents, the National Center for Policy Analysis says Boomers are still spending their money on their kids. As of the end of 2012, 59 percent of them were helping their kids financially after graduation. Some of them were spending on their own education, but not nearly as many. They're not just doling out allowances to their kids willy-nilly because they're that rich and want their kids to have a good time; they're helping with student loans, living expenses, transportation costs, and medical bills. Two out of five parents actually paid off debt for their adult children. However, they still have their own debt to contend with in the form of mortgages and credit cards, and the NCPA study projects that most baby boomers will still be in debt when they die. Ouch. So what aren't they spending on that might be a little surprising? 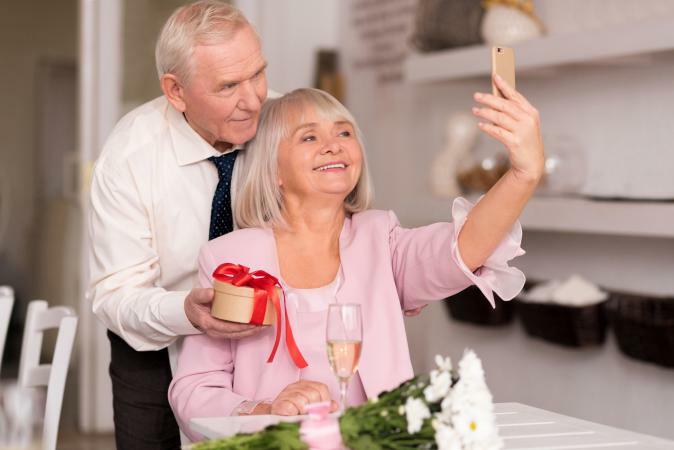 Despite society's look at retirement as a time to spend all that free time doing whatever they want, the NCPA says money is not going towards a ton of entertainment and looking snazzy for themselves and The Joneses (at least in some ways). One exception to that is music. Baby Boomers are willing to shell out money on music, reports The Guardian, especially music that takes them back to their younger days. In 2006, 25 percent of music buyers were over the age of 45. 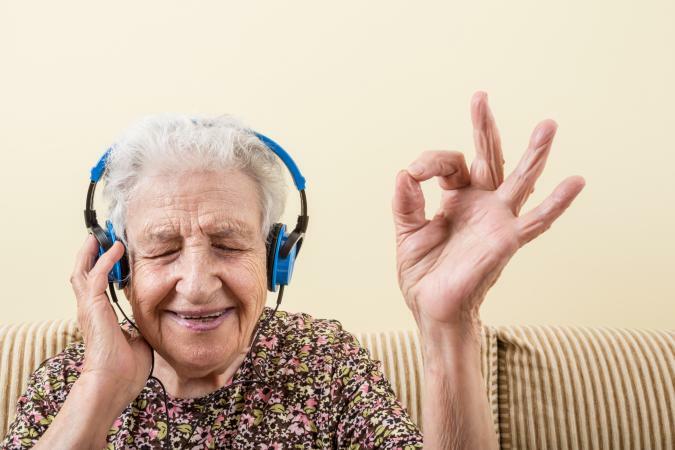 People over 50 were made up almost a quarter of online music sales. Boomers love live music, too. Between helping their kids and paying on their mortgages, baby boomers don't seem to value spending money on fashion, furniture, or going out to eat as much as some other groups might. They're also not impressed by brand names. Store brands are just as good as brand names, they feel, so there's no reason to spend the extra money. Food purchases fell 18 to 20 percent for people between the ages of 45 and 64. Household furniture purchases dropped 25 to 33 percent. Clothing purchases fell a whopping 45 to 70 percent for the same cohort. They're spending less on their own transportation (cars, gas, maintenance, and public transportation), even though they're still helping their kids with theirs. Instead, money's going toward utilities (up 15 percent for the younger boomers because of larger homes to heat and cool) and health care costs (21 to 30 percent for those between the ages of 45 and 64, closer to 30 percent for the 45 to 54-year-olds and 21 percent for 55 to 64-year-olds). They're not all sitting home, surfing the web, bored out of their skulls, though. They vacation! A 2015 AARP report claims 91 percent of baby boomers are getting paid vacation time (about 54 percent use all or almost all of it, as of a similar AARP 2016 Travel Trends report), and 99 percent of them planned to travel in 2016 (AARP's 2016 report). Even though they don't live at the beach (yet? ), that's where they travel most; they love the Caribbean and Florida though sometimes they travel to knock something off the bucket list or to experience another culture (Europe is popular). They will skimp on clothes and furniture, but don't hold back much on travel (AARP 2016 Travel Trends report). Experiences over things, right? Only about one-third of Boomers were still in the workforce by age 68, and only 16 percent were full-time. Twenty-two percent of Boomers were not in the workforce. Seventy-eight percent were working full-time, part-time, or looking for a job. 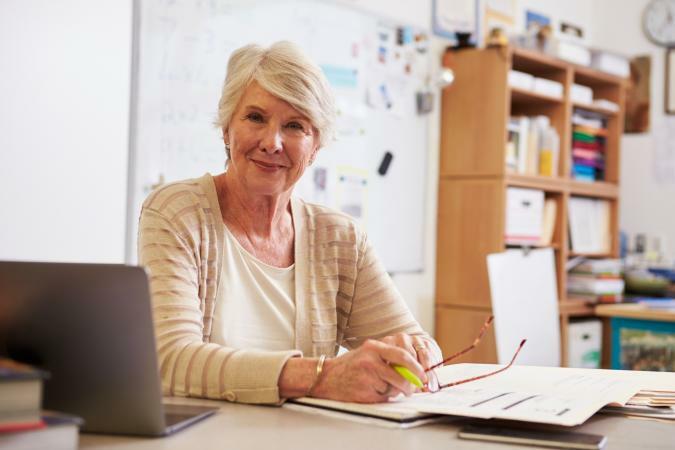 By age 68, the number of Boomers not in the workforce had risen to 68 percent, while the number in the workforce in some capacity (full-time, part-time, or looking) had dropped to 32 percent. Half of the Boomers still in the workforce were single females (according to the Del Webb survey from 2015). Baby Boomers (about 45 million of them) made up 29 percent of the workforce as of 2015 but that number is shrinking (according to a Pew Research Center report). Ladies especially enjoy hiking, yoga, and weight training, according to the 2015 Del Webb Boomers Report. 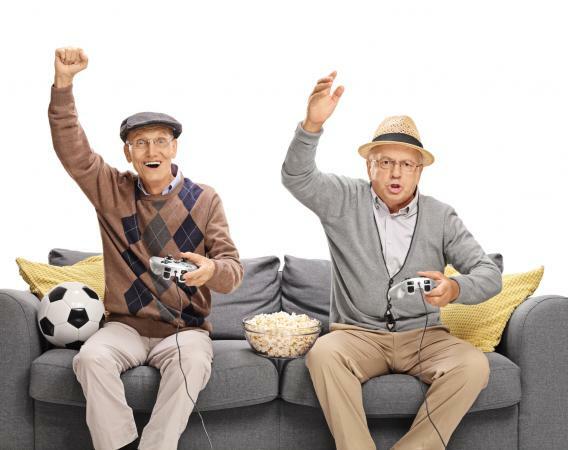 About half of the country's baby boomers enjoy video games, which can help with cognitive decline, says The Huffington Post. They're not playing the complicated or intense games the millennials love, necessarily, but they can enjoy puzzles, card games, trivia, and other similar games. The 2015 U.S. News Baby Boomer Report says exercise is important to 67 percent of Boomers. They are working out for health reasons, because it's what they've always done, because they're divorced and dating, and to look good and maintain the ideal athletic-looking body that will serve them well, well into their 70s. The richest baby boomers live in Wyoming, California, Connecticut, and Florida, according to Data Driven Marketing. In total the boomers have about 14.5 trillion dollars in investable assets. The same report shows that Maine has the largest percentage of baby boomers making up their total population, at 36 percent. Older baby boomers are still on the job in the highest concentrations in North Dakota (68.4 percent), New Hampshire, Nebraska, Vermont, and South Dakota. California has more baby boomers overall (9,232,738 as of 2010 based on a report presented by Emsi), but not the highest concentration. About 66 percent won't be moving at all. Sixty-seven percent of those moving will stay in the same state. Half of the Boomers who move won't stray more than 30 miles from their current home. Forty-six percent of the ones who are moving want a bigger home. They plan to continue in a single family home, not an apartment, condo, or senior community. Sixty-nine percent want a yard or garden. About six million will be renting by 2020 according to Freddie Mac, and they're looking for affordability, amenities, less property to care for, and a walkable community. Thirty-five percent felt comfortable with their efforts to save for retirement. Thirty-three percent believed they would have enough money to live comfortably. Sixty-five percent were satisfied with the way their finances were going. Twenty-one percent stopped contributing to their retirement accounts (10 percent even pulled money out) because of trouble paying rent. Forty-six percent were concerned with leaving an inheritance behind for loved ones. Eighty-six percent of married Baby Boomers had retirement savings, while 70 percent of singles did. The Echo Boom, or the baby boomers' children, are the millennials (roughly, the children of the 80s and 90s, but some say the birth year range is from 1977 to 2001). Business Insider reports that there are about two million more people in this generation than in the baby boomer one, or 80 million versus 78 million, respectively. This generation is more commonly referred to as Generation Y. The population got bigger overall, but there were some ebbs and flows in birth rates throughout the years. More boomers had children than individuals did during prior generations, but they had smaller families overall (2014 Census Bureau Report). The Baby Boomers cover a wide range of preferences, whether it's staying in the workforce or retiring, vacationing in Europe or Florida, or moving to a larger home or downsizing and moving into an active community for seniors. Boomers are a dynamic group making their mark on the world well into retirement. Their interests are varied and they don't seem to want to slow down. Instead, they're embracing this stage of their lives.